© Konami 1986 -- ¥? Everytime you finish a stage and he rests on a pedestal a thought bubble appears above his head, now and again a "Moai" appears in that bubble. 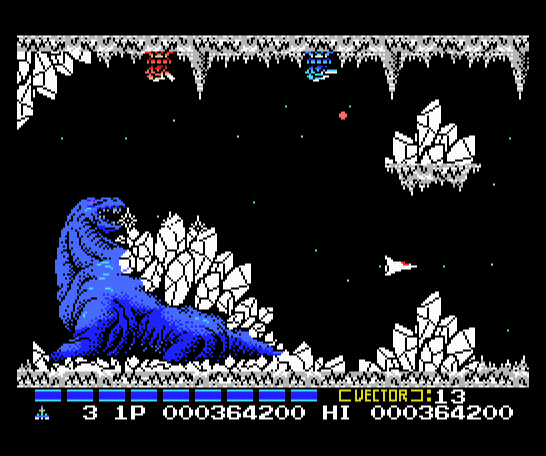 The Dragon Boss looks like the dragon in the Gradius 2 MSX beta stage.